Whales recovering. Thats good. Right? Not according to “experts”. This is good … right? And this is good too … right? The population was brought to the brink of extinction in the 1960s, with just a few hundred surviving in the wild, a result of commercial whaling. 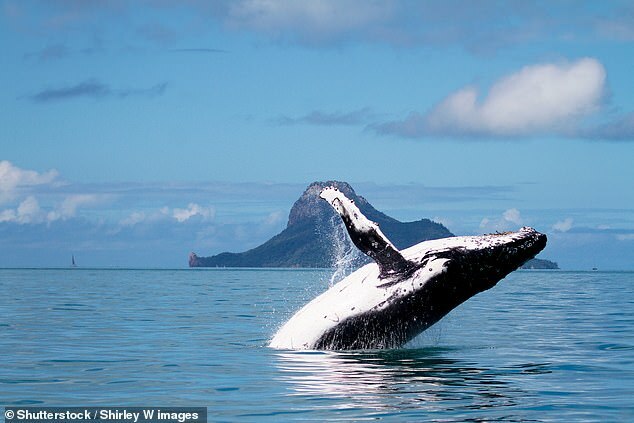 However, conservation efforts and the introduction of the Endangered Species Act saw the humpback population almost totally recover by 2015, to more than 25,000. But nooo. Climate change rears its ugly head! experts are now warning that the population could become too large for the ecosystem to support because of declining food sources in our oceans due to climate change. What declining food sources? The population of whales just went up by 100x!!! Climate change is such a party pooper. If they stopped shooting 600 polar bears a year there would be a population explosion too. Oh wait … there is one. The “experts” are always sad when the poster children of climate change refuse to die off. The UK’s Guardian website recently reported that the planet’s oceans are going to become more green as phytoplankton—the base of the food chain—becomes more numerous in certain places, especially near the poles. This coincides with the feeding grounds of certain whale species (like the Australian Southern Ocean humpbacks) experiences an explosion of food. More food means greater species recovery. If—and it’s a big IF—climate change by the end of this century causes shifts in food resources, the population will then experience a natural reduction no different than that of land-based species.